Here's a simple hack. Lost your bubble wand? Run into the deli and pick up two straws and twist them together as shown here, and presto! 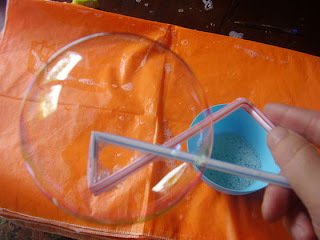 Giant bubbles to Mars! Indestructables is a fun website with plenty of neat projects for kids, and for grown-ups too.